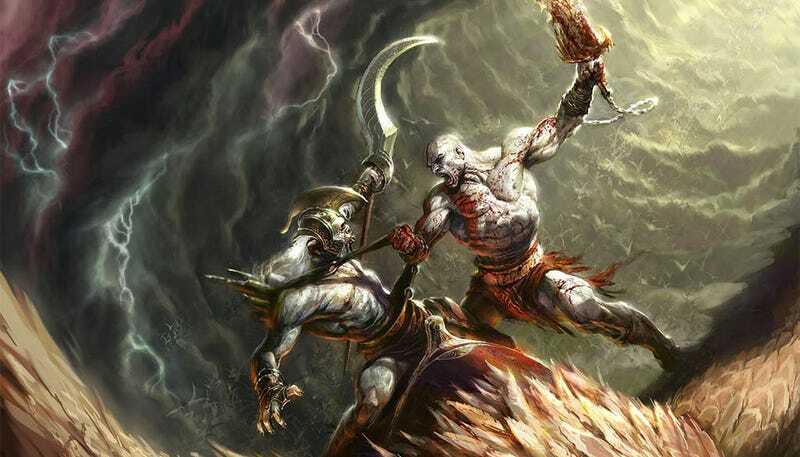 According to reports circulating online this evening, the latest issue of the Official Playstation Magazine contains the news that Kratos, star of the God of War series, will be a playable character in the upcoming Mortal Kombat reboot. While he won't be a part of Mortal Kombat's story mode, he will be available in regular matches, and will be bringing his own moves - and fatality - with him. Let's hope it involves peanut butter! Kratos, being the star of a flagship Sony series, will of course only be appearing in the PS3 version of the fighting game. Which has us wondering, will there be a similar deal made with the Xbox 360 edition? Master Chief, perhaps? Or, for less franchise shock, Banjo? I'd put money on Marcus Fenix. Marcus and Mortal Kombat seem like they'd get along just fine. We've contacted Sony for confirmation on this, and will update if we hear back.